These class dates are subject to change due to weather, lack of numbers in a class, or personal reasons. We will need at least 5 people in a class, and will try not book more than 12 in a class. We will make every possible effort to keep these dates concrete. Cant wait to meet you all and help you utilize your camera to the fullest! Here are the dates! We will only have 1 class in January and February as we will be adding a 7th child to our family! But most of the time there will be 2 classes a month. 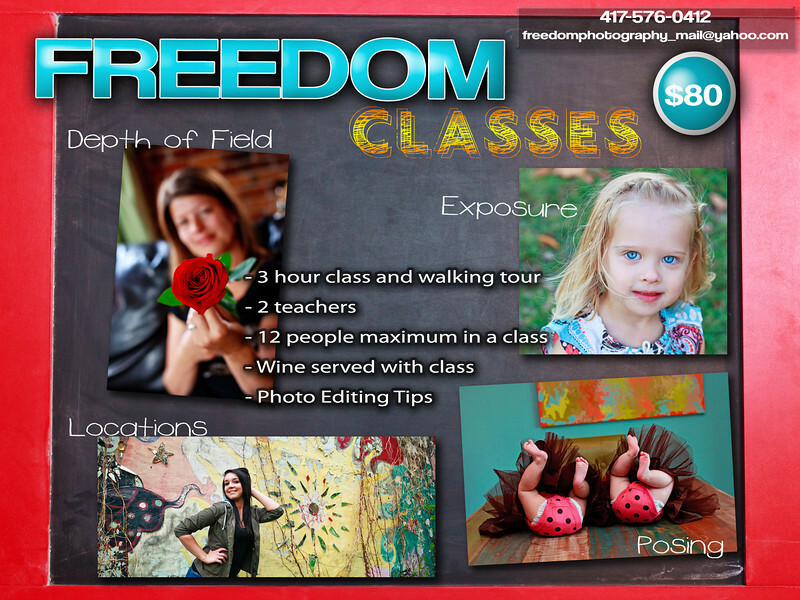 Email freedomphotography_mail@yahoo.com with the class date you want to sign up for. Thanks!